The Galaxy Note 3 is set to launch on T-Mobile on October 2nd, but if waiting that long causes you too much anxiety, you can now head over to their website and call dibs on one of your own. 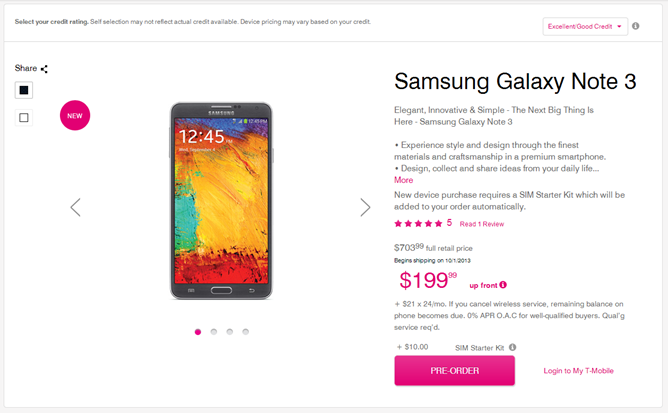 That's right, Samsung's latest phablet is now available for pre-order on T-Mobile, and while the company may not believe in subsidizing their phones anymore, you're probably going to want to stick with the payment plan when placing that order. 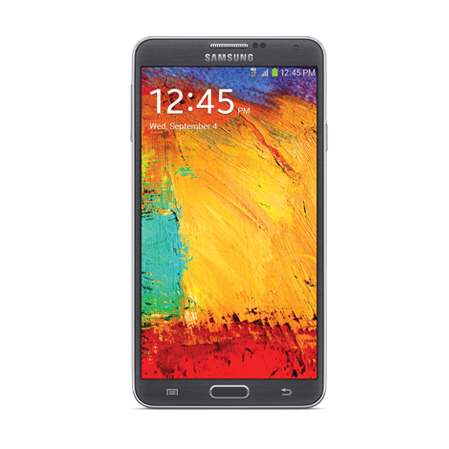 The Note 3 costs $199 with a two-year commitment to pay $21 per month. That amounts to $703.99, which is what you're going to pay if you choose to buy this device entirely upfront. If you put your name down, you will eventually go home with a quad-core Qualcomm Snapdragon 800 processor, 3GB of RAM, a 3200mAh battery, a 5.7-inch 1080p display, and - of course - the Note's requisite S-Pen. Just to be clear, the Galaxy Gear isn't included with this purchase. There's no mention of a bundle here like what Verizon offers, so you will have to make a separate purchase if you're keen on sporting one of Samsung's $300 watches.